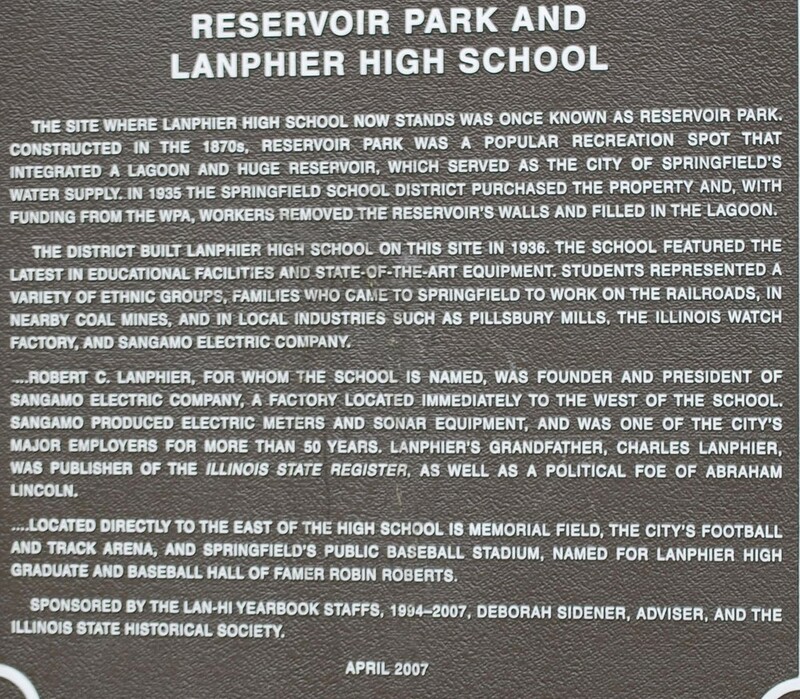 The dedication of a historical marker concerning Lanphier High School and Reservoir Park was held at 10:00 AM on Tuesday, May 22, 2007. 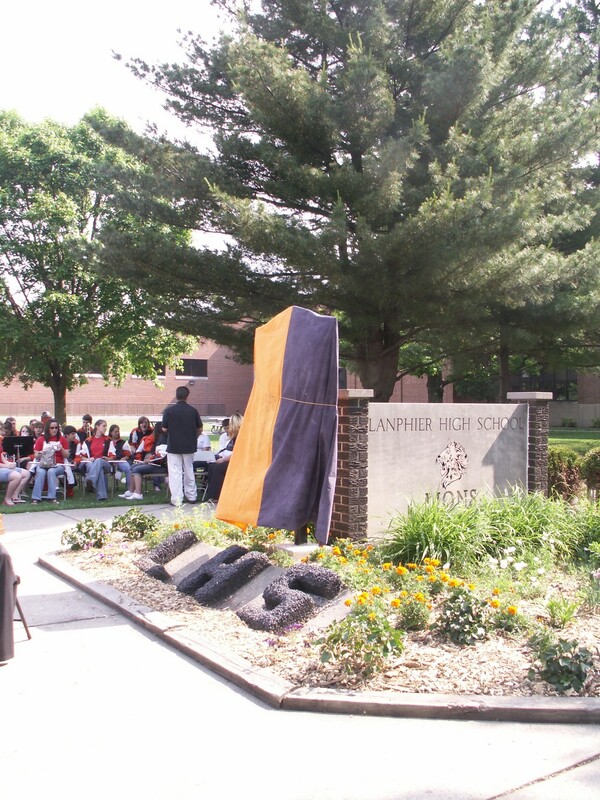 The ceremony took place in front of the school near the two concrete lions facing North 11th Street where the marker has been permanently placed. 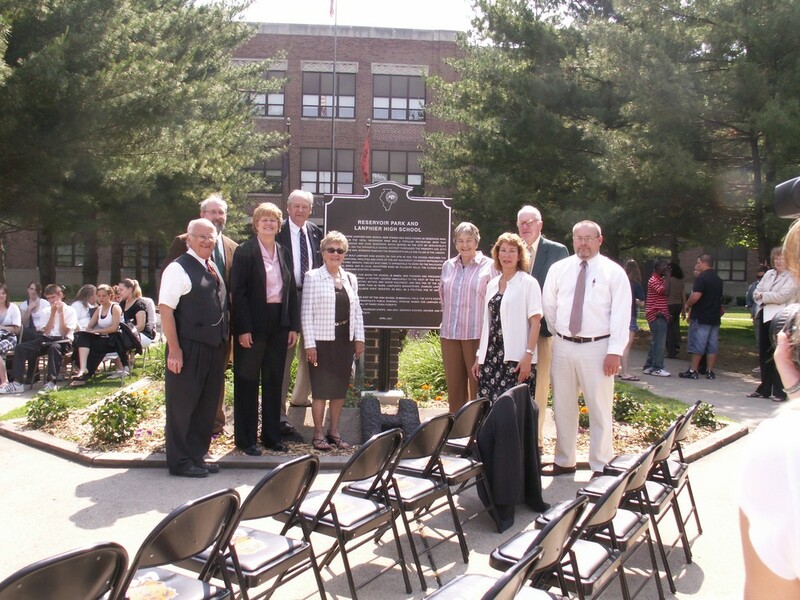 The marker was cosponsored by the Lan-Hi Yearbook staff and the Illinois State Historical Society. 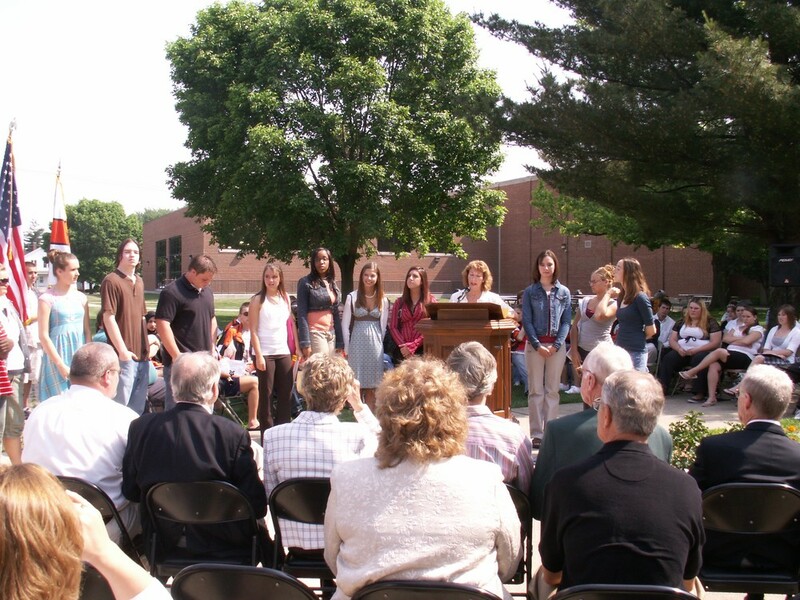 The yearbook staff and their advisor, Deborah Sidener, had raised the necessary funds for the marker and planned the dedication. 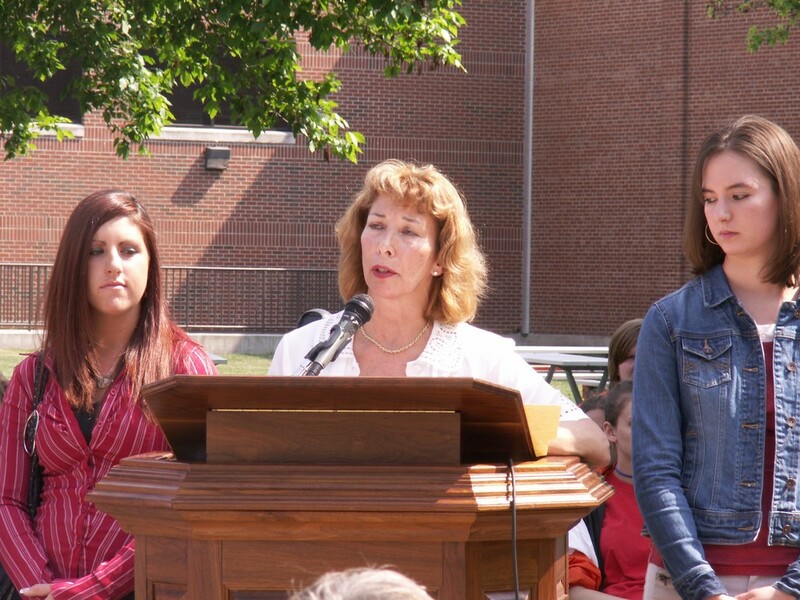 Principal Jane Chard introduced some of the individuals in attendance including Arlyn Lober and Bob Nika. 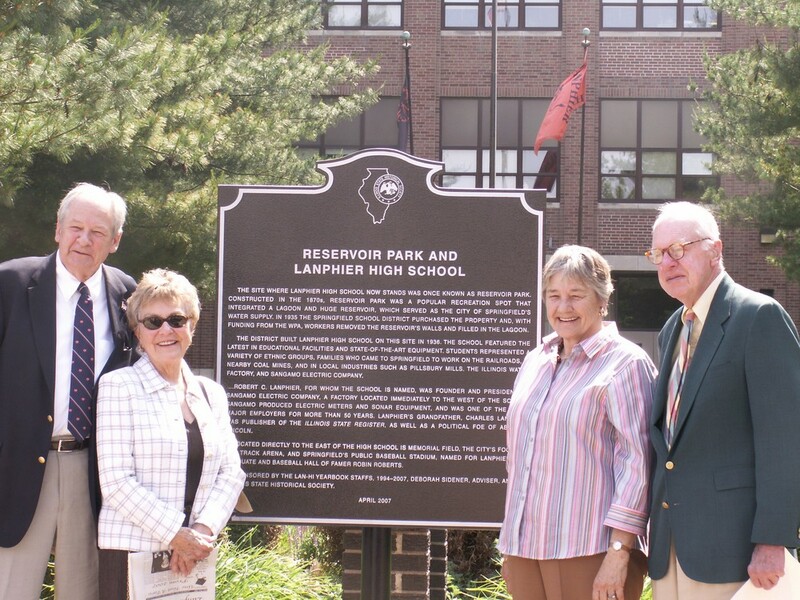 Others who were introduced included Robert Lanphier Jr. and Nancy Chapin, the son and daughter of Robert Lanphier after whom the school was named. 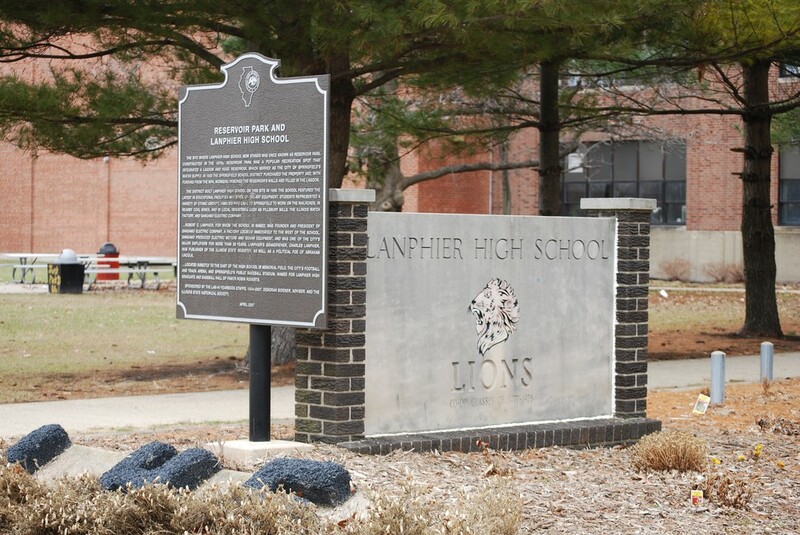 A large, black and white photo of Mr. Lanphier, which had been refurbished and reframed, was presented to Principal Chard and now hangs in the lobby of the school. 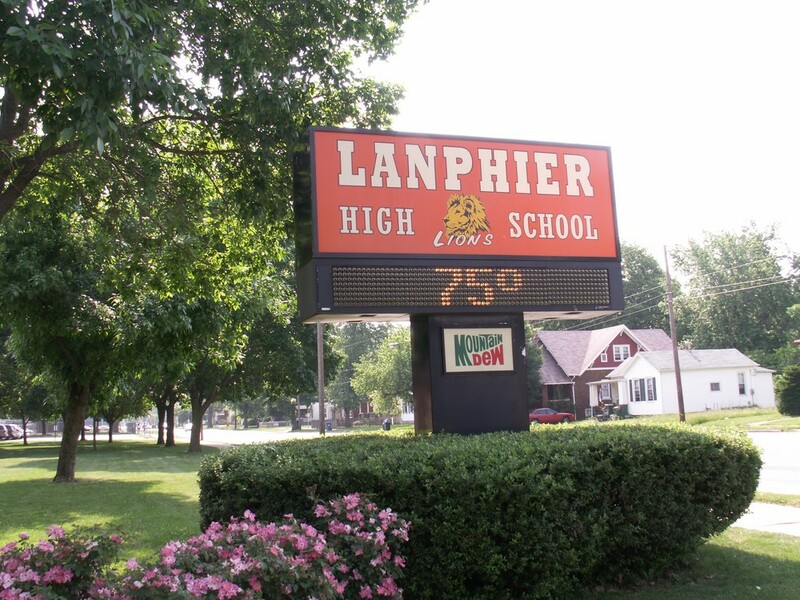 The Lanphier Choral Department and the Lanphier Band supplied the music with the National Anthem, By Thy Rivers Gently Flowing, Illinois, and, the Lanphier Fight Song. 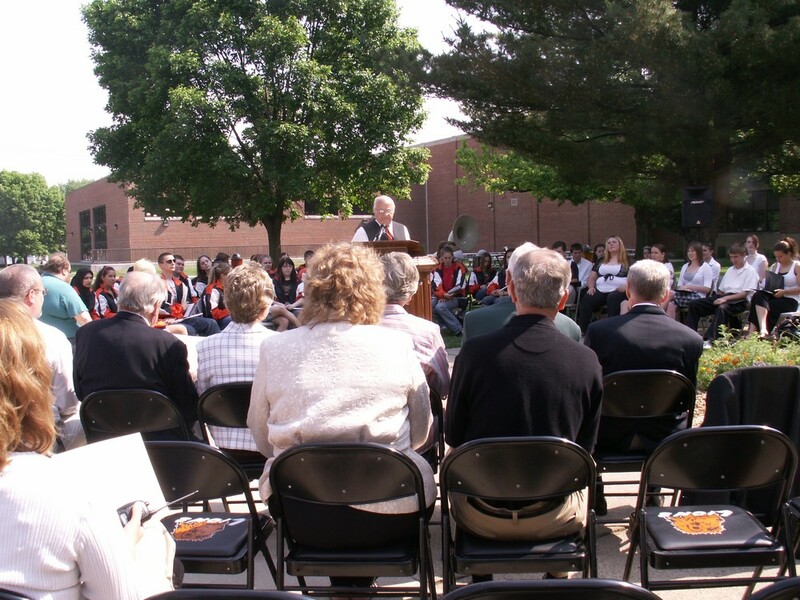 Presenting special remarks about the history of Reservoir Park, the Illinois Watch Factory, Sangamon Electric and Lanphier was Springfield historian, Curtis Mann. 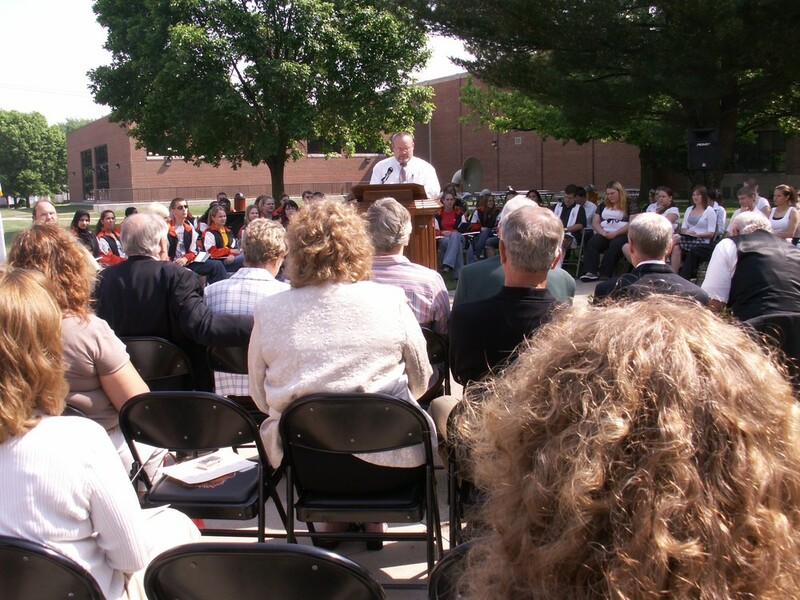 Acting as emcee for the event was Stu Fliege, LHS class of 1957 and Chairman of the Marker Committee for the Illinois State Historical Society. 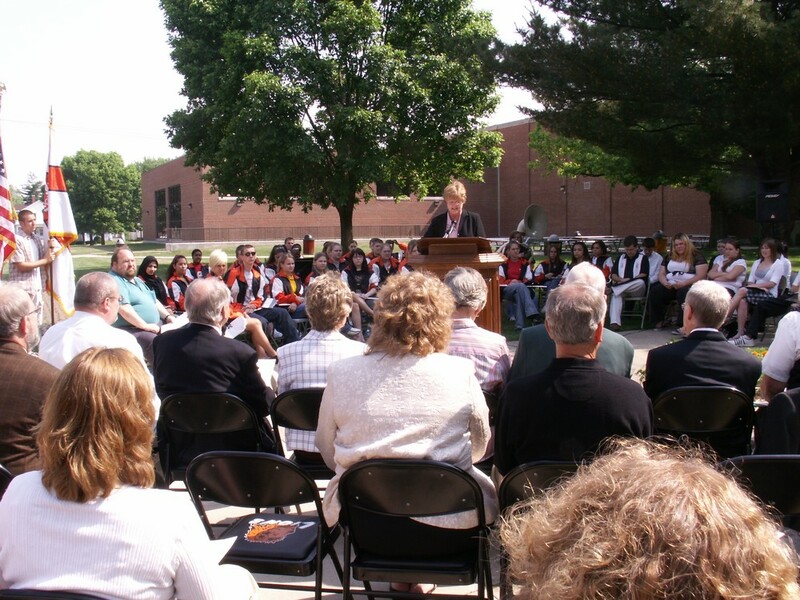 Martha Prince, editor of the Lan-Hi introduced the 2007 Edward Oliver Scholars and Mrs. Sidener introduced the Lan-Hi staff. 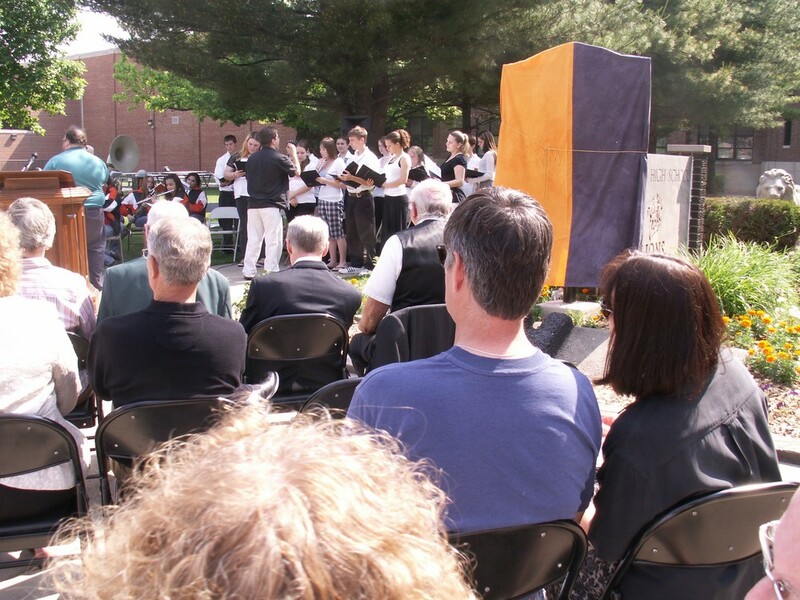 The honor of unveiling the marker was given to Lan-Hi staff member, Hannah Douglas. A reception in the school library followed the ceremony. Click on a picture to view a slide show of the pictures.